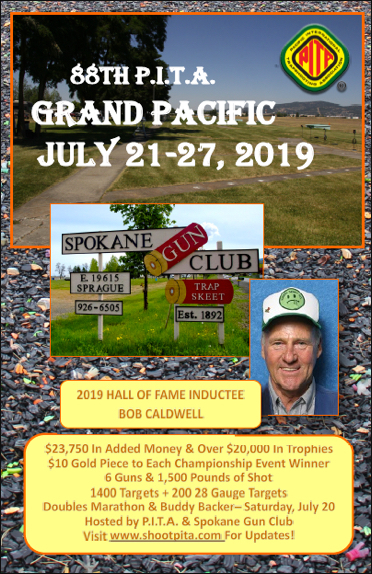 2012 Fairbanks Trap Club – Midnight Sun Shoot – June 23-24, 2012 « Shoot P.I.T.A. Weather Report: Beautiful Fairbanks day. No clouds, no wind, 80 degrees; until we started shooting at 4pm. Clouds rolled in from the north & the wind picked up as we started shooting singles. The targets were sporty, but everyone had fun. Nice head wind had the target debris in our faces. Seven out of twelve handicap shooters had the same or better scores than their single scores. Chris Stankiewicz received his 1st punch since joining PITA. We made him work for it by shooting off with 3 other shooters to become handicap champion for the day. 4 shooters received a punch. Weather Report: Sunny, light wind, 80 degrees. Jay Gesin & John Schumaker were in a shootoff for handicap champion. Started shooting at noon & finished at 5pm. Chris Stankiewicz decided to bet against some other shooters in the handicap event. Feeling confident after his handicap win from Saturday, Chris shot the handicap event. He was disappointed in his score, but the other shooters didn’t seem to mind as they were too busy eating ice cream. Thanks for the ice cream, Chris. Mike & Carol McConahy had their family (Zach, Angie, & Marshall) shooting as TEAM McCONAHY. Thanks to everyone who brought food and the volunteers who made the shoot possible.